LG Antique Restoration represents a commitment to quality. 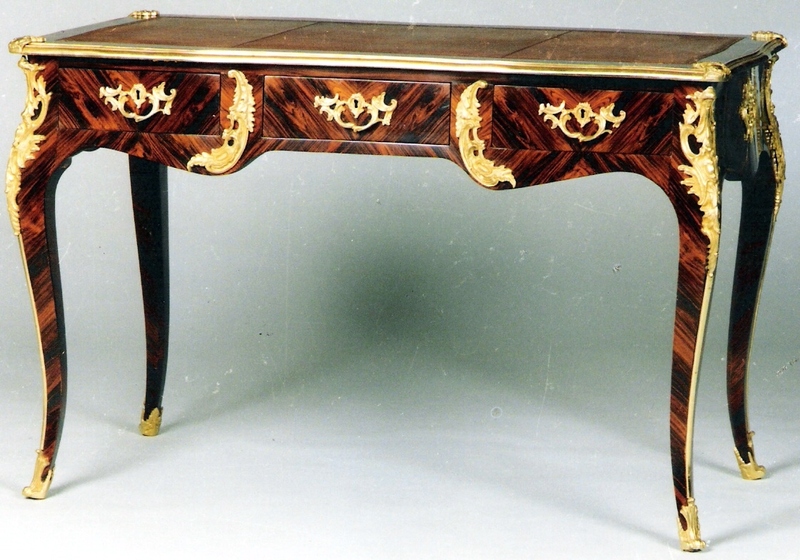 With skill and expertise, our master craftsmen restore 18th and 19th century antiques promptly and professionally. Quality work is performed by French trained restoration experts, from pick-up to delivery. Our atelier is mastered by a French antique restorer and appraiser with over 41 years of experience. Taught by masters from France and Italy, Laurent Gache is a truly passionate artist who will go to great lengths to find the right wood, veneer or product to restore any antique furniture. Using the tools of the old world, our experts will restore any piece of fine furniture damaged by the elements or a careless mover. Fine furniture demands natural materials. There are no exceptions. Our stockroom of supplies includes many hard - to - find waxes and polishes, as well as a wide selection of rare veneers from France. LG invites customers to call for free estimates. Please contact us anytime for restoration or appraisal. We look forward to hearing from you. Copyright 2018 LG Antique Restoration. All rights reserved.